Classical forms of training in the gym more and more becoming extinct, unless you are bodybuilder, preference is given various combinations of cardio, circular, functional training … Today we explore the concept of functional training and give some examples of exercises and way of performing. The roots of functional training come from the application of rehabilitation. Therapists use this form of rehabilitation to restore the regularity of certain movements in patients, the name functional is because they were used to install the proper and independent movement that before was irregular in the midst of an injury or surgery. They were movements that were used in everyday life, movements that have a function in everyday activities. So in sport we doing some part of exercise and movements which are typical for a particular action that is constantly practiced in a particular sport or physical activity. The benefits of functional training is better joint mobility and stability of the whole body. Improving these factors reduce the possibility of misconduct. Although the machines at the gym seem safer, they actually limit the degree of movement and thus do not involve stabilize muscle of movement, but only a certain muscle that is rightly triggered. As a result, it takes a lot of time to strengthen all the muscles, which is not the case with functional exercises where they require a lot of different and large muscle groups. Basics of functional training. Choose a couple of exercises from 2 to 8, it represents a one circle in training. Training should have from 2 to 4 laps. The exercises are performed with the shortest breaks, and between parts of the training is pause of 2 to 6 minutes. Pause can be active, skipping rope, running or something else. The number of repetitions of exercises can be fixed and may be limited in time, Ex. 4 exercise, each running 30 seconds submaximal intensity followed by a break of 4 minutes and moving into a new round. In essence, combine themselves but by following these guidelines. Very important thing is to determine the intensity of training to withstand the whole session and not interrupted in half because you increase the intensity from the beginning. Also, pulse and control over the belt and hours or simply checking on artery on the neck, should be frequent during breaks. 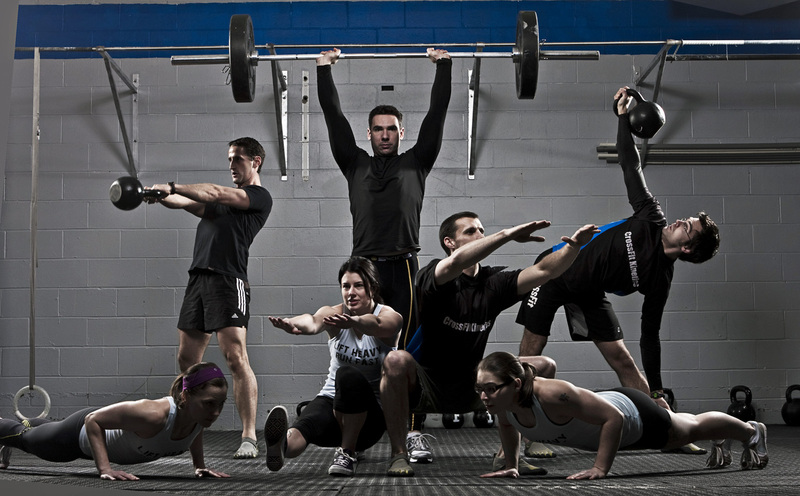 Functional training requires high endurance and strength, it also features the upgraded and improved. We are meeting with various terms that are related to health and exercise, this is perhaps one of the most important. Visceral fat or more qualified organic intra – abdominal fat. In the following process it will be explained. 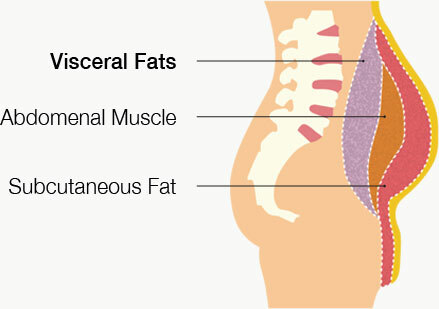 VISCERAL FAT also known as organic or intra – abdominal fat tissue lies deep within the abdomen, surrounding the vital organs (liver, heart, kidneys …) as opposed to subcutaneous adipose tissue located just below the skin and intramuscular fat tissue that is deployed within the skeletal muscle. More fat than in any other part of the body, and even more than obesity overall, intra-abdominal or visceral fat has been associated with the deleterious effects on human health. The main negative effect of the lower sensitivity to insulin, a hormone that helps glucose to enter the body’s cells. Biologists put visceral obesity in a group with other, more obvious physiological abnormalities which include – high triglycerides, high blood pressure, high blood sugar and low HDL (good cholesterol) under a single term – metabolic syndrome. People with this problem are at increased risk for cardiovascular disease and diabetes type 2 diabetes. Internal fat is the most dangerous fat that can be found in our bodies and in comparison with the other two species (subcutaneous and intramuscular) this fat is the hardest for removal. Nevertheless, the majority of people have never even heard of viseralno fat. To make matters worse, most doctors do not check regularly waist of their patients, which is the main indicator visceral obesity. Many men mistakenly think that their excess fat on the abdomen, just ugly and not dangerous. Abdominal region is a haven of another type of fat that lies outside the abdominal wall, just below the skin. This subcutaneous peripheral fat, tends to be soft and flabby. There are two “sections” deep which is considered as well as for visceral fat that has negative effects on health and the shallow layer, which is considered to be harmless to health. Internal fat is that it gives the appearance of “expelled” or as some people call beer belly. It dramatically increases the risk of various heart diseases, diabetes, high blood pressure … Among the deposits of fat, visceral fat is the most active, and mobilize substances secreted in the greatest quantities. Relieves a lot of fatty acids (products of degradation of fats) in the bloodstream. As people age or become obese, some of the cells of visceral fat mature and become large, lazy and dysfunctional. As people continue to eat and how fat deposits increase, some cells become crowded and crumbling. Fat is now considered active, complex endocrine organ, such as pancreas. In other words, there is much more about your fat around the waist, than scales and mirrors show. How to get rid of fat on your stomach? There is no quick solution but, if you select various potentially dangerous and painful invasive medical procedures. Visceral and subcutaneous tissue as two different bodies, each with its own separate functions. Underestimating these differences gives very disappointing results in an attempt to improve the metabolic state of the patient through liposuction. I know from experience that clients who were patient with training and proper nutrition, they quickly after surgery and liposuction came to the state before the operation. When surgeons removed a large amount of abdominal fat – in some cases up to 10 kg – patients do not have any improvement in terms of insulin sensitivity. The fat that liposuction is actually draws subcutaneous fat and hence harmless. There are no pills to lose weight or magical preparations which will by themselves do to get rid of fat. Performing exercises for the stomach also has nothing to do with removing the fat that covers the belly. Remember, fat on the stomach of stored energy. If you managed to get rid of the fat you need to burn more energy (calories) than you consume. There are a few basic principles when it comes to diet and weight loss, and all proceeds from the simple logic that need to eat fewer calories than you burn. The only real way to secure a healthy and lose your internal abdominal fat is to combine a sound nutritious diet that is full of unprocessed natural foods with a professionally designed exercise program that stimulates the necessary hormonal and metabolic responses in your body naturally and healthy. In the end the most important thing is to be very persistent. To lose deposits in the waist, right diet and training should become part of you, not something you do when you remember that when you have time. So if you want to observe the quality of your life and to save yourself, then a reduction of abdominal fat should be one of your top priorities! Severe pain in the muscles, a sudden and painful muscle contractions or cramps, you certainly had the opportunity to feel, a very unpleasant phenomenon that does not last long but may have an effect. The causes of this phenomenon, the symptoms, how it manifests it self and prevention clarify we will explain the following text. As for the athletes, cramps is begin in endurance training, where efforts are being made to that body is not normally used to. Hypertonic muscle cramps is a state of chronic, excessive muscle tone, tension in the muscles – contraction when a muscle is inactive. Controlling diet and intake nutrients: Magnesium relaxes your muscles, Sodium helps retain liquid and postpone dehydration, Calcium plays a role in muscle contraction, Potassium deficiency causes cramps, vitamin E improves blood circulation, Carbohydrate deficiency can exhaust the glycogen stores, which may cause muscle cramps. Any over-exercise physical activities with inadequate food and inadequate recovery of the organism, manifested as a phenomenon that will slow your progress and achieving your goal. 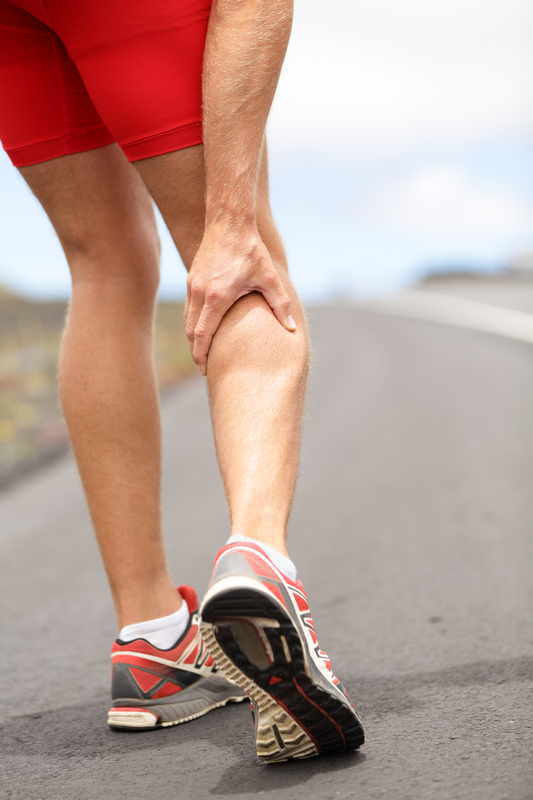 CRAMPS is one of the consequences and causes.